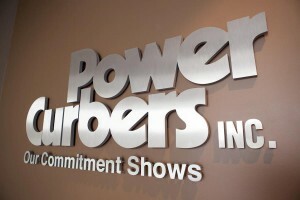 Power Curbers Inc. moved to a new location in its home city of Salisbury, NC, in 2007. The renovated facility is at Exit 76, on Bendix Drive, just off Interstate 85, a main highway artery through North Carolina and the Eastern Coast of the USA. The relocation came after over 40 years at our former site, nearer downtown Salisbury. In the office area, an open environment improves communications and reduces duplication of work. A state-of-the-art training center for customers features wireless communications, a lab for hands-on training with electronics, and an indoor facility for training on a slipform machine. The manufacturing facility is designed to include many lean manufacturing concepts. This allows us to quickly and efficiently meet customer demand for customized machinery. Production has been increased to allow processing from raw material to a finished machine in 14 hours of shift work. Power Pavers Inc. also moved to a new and larger facility in 2006 in order to meet the demand for our machines. The move was only a short distance away from our two previous locations, but offers more space for both manufacturing and offices. We’re located off Highway 218, north of Cedar Falls, IA in the Midwestern section of the USA. The building encompasses 34,000 square feet and includes our offices, manufacturing area, and space for parts and product support activities. With 30 acres at the facility, we’re got room for expansion.